Please welcome E.J. 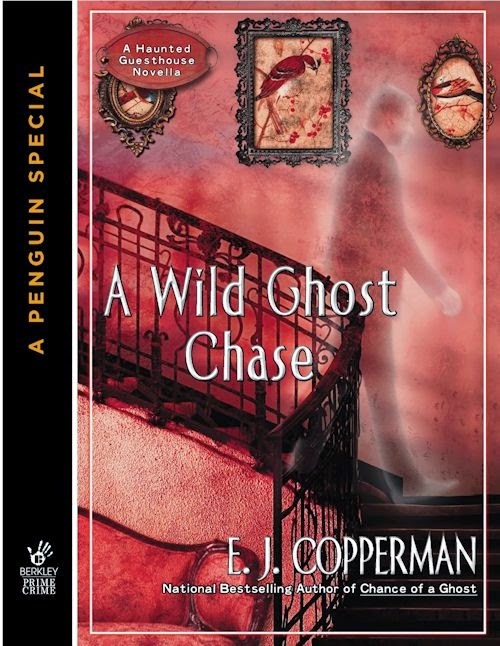 Copperman, author of the Asperger's Mysteries and the Haunted Guesthouse Mysteries. I do not celebrate Halloween. The entire concept is odd to me. Perhaps this is because I have a “condition” (I consider it a personality trait, but others see it as a mental disorder) called Asperger’s Syndrome, which is considered by the medical community to be a part of the autism spectrum. But all the traditions and practices of Halloween are confusing and a little disturbing to me. For example, why would someone try to deceive others with a costume? The very idea of “being” someone other than myself is uncomfortable and nonsensical in my view. A person who is not himself is no one at all. Those who are ashamed of who they are will not be able to sustain the disguise for more than one day at the most; in the majority of cases, it will be so transparent as to render itself useless almost immediately. The tradition of “trick or treat” is also a bizarre ritual, in my view. It seems counterproductive to teach children that if they threaten a homeowner with some potentially damaging mischief, they should rightfully be rewarded with candy. Indeed, the idea that a highly caloric, often dentally questionable food item being considered a reward is extremely ill conceived. The child could easily conclude that this sort of behavior should be applied to other areas of everyday life, and eventually demand a piece of candy if his or her parents don’t want something in their home to be destroyed. It establishes an unsettling precedent. My mother insists we keep some small candies (whose packages advertise them as “Fun Sized,” as if a particular size of candy is more entertaining than another) in the house and that I distribute them when children ring our doorbell on Halloween afternoon or evening. I have voiced my opinion on the subject, but she merely clicks her tongue and suggests that I am taking the “trick or treat” concept “too literally.” I do not see how it can be taken any other way. 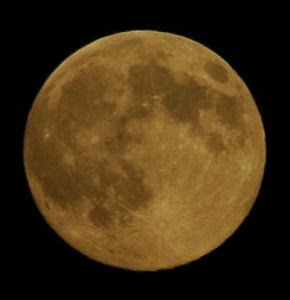 Mother says the children are “just having fun.” Perhaps the size of the candies we give them enhances that experience. It is a difficult concept for me. Particularly irritating is the disruption of routine. Those of us who share the Asperger’s Syndrome profile are often devoted to ritual and routine. We prefer structure and predictability in every aspect of our lives. The idea of a surprise party, for example, on my birthday is both absurd and slightly terrifying for me. First, the event would be held on the date of my birth, which I know perfectly well, making the “surprise” especially difficult to achieve. But if I were not expecting some celebration and was confronted with such a gathering, the sudden need to disregard my daily routine and deal with people I do not see regularly would be a daunting prospect indeed. How anyone could enjoy such emotions being thrust upon them is a mystery to me. Halloween, then, is a completely alien concept. The emphasis on death and supposedly enjoyable “frights” is illogical. People are—and should be—afraid of dying, so finding it a cause for celebration is ridiculous. Such figures as witches, ghouls, ghosts, killers from horror films and other monstrous characters are not to be embraced, but feared and avoided. Walking around our New Jersey neighborhood before Halloween is an unsettling, puzzling experience. It is part of having Asperger’s Syndrome that people see me as different and odd. But when I look around at the “neuroptypical” or “normal” world before Halloween, I have to seriously consider the possibility that people like me make perfect sense and the majority of the population is quite strange indeed. But I have been told that there are proper and expected salutations for the season, so I will offer you one that does not really make sense to me, in the sincere hope that it holds a pleasant message for you. Have a happy Halloween. If that makes sense to you. 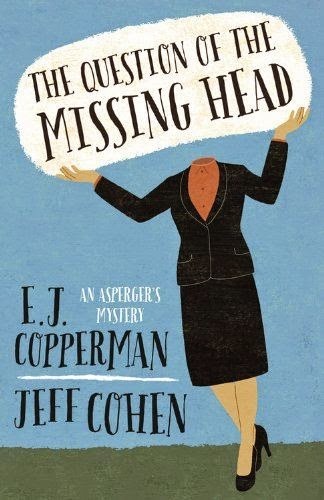 Samuel Hoenig, a borderline genius who answers questions for a living, is featured in THE QUESTION OF THE MISSING HEAD, the first Asperger’s mystery from Midnight Ink. It was published on October 8 and is available now. Find out more at www.ejcopperman.com or www.jeffcohenbooks.com. Samuel Hoenig answers questions for a living. And as a man with Asperger’s Syndrome, his unique personality helps him ferret out almost any answer there is. But his latest question is a rather odd one—who stole a preserved head from the Garden State Cryonics Institute? Arriving at the scene of the crime accompanied by his new colleague, Ms. Washburn, Samuel finds that what started out as a theft has escalated to murder. 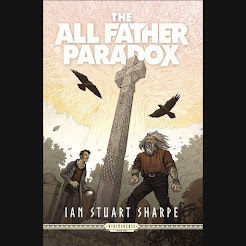 With suspects and motives emerging at a rapid rate, one final question remains—can Samuel’s powers of deduction uncover a killer in the face of overwhelming odds? 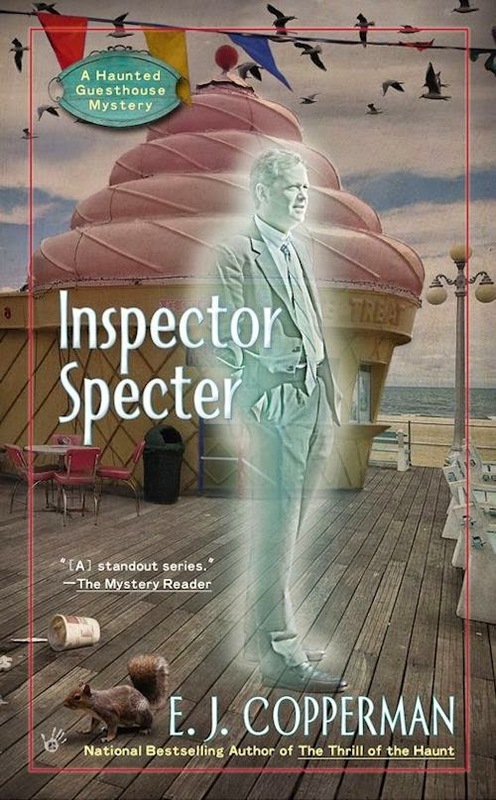 Alison and her resident gumshoe ghost are on their next case when the deceased Scott MacFarlane floats in worried that he accidentally killed a prominent local woman. Turns out she's still alive...that is, of course, until she's murdered-in Alison's house. Now, between the demands of her guests and the arrival of a reality television crew, Alison must find the killer before she sees reality from the other side. 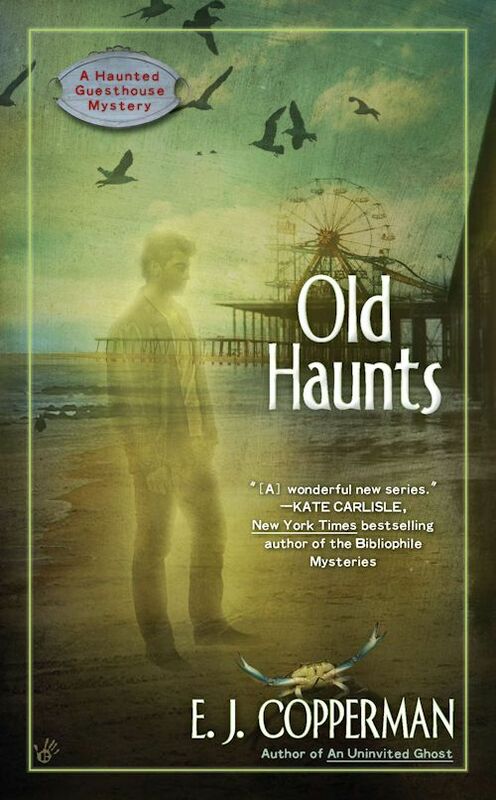 Three years ago in a large Victorian house on the Jersey Shore in the town of Harbor Haven, fledgling private investigator Paul and his client, Maxie Malone, were murdered. 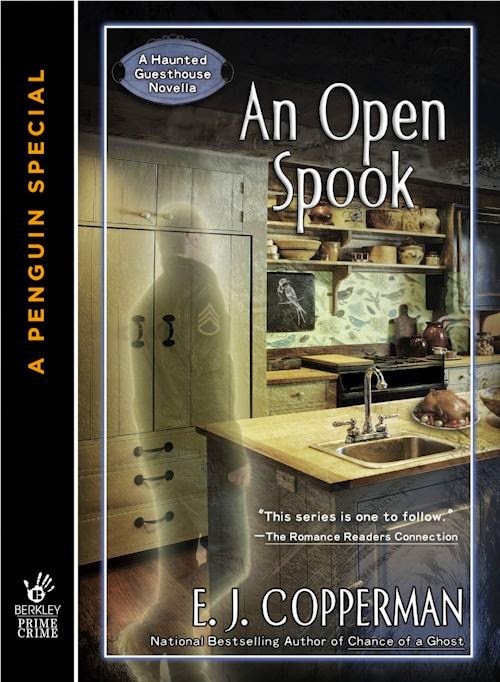 Since then, recent divorcee and reluctant ghost whisperer Alison Kerby and her 10-year-old daughter Melissa have moved in and converted the place to a guesthouse, where Maxie and Paul are now checked in for an eternity and ready to solve any case that comes their way—or at least spook the guests (who love it). Alison’s got a lot on her plate at the moment, however, so when Paul discovers the three-hundred-year-old ghost of a small boy in the house, he decides not to involve her in the case. The boy, named Eagle of the Sun, says he’s searching for his missing mother. Paul’s happy to help Eagle of the Sun find her, though something about the boy’s story doesn’t add up. But why would a lost little ghost lie? 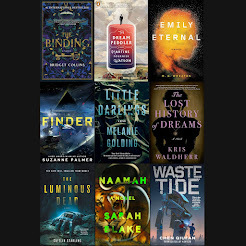 In an all-new novella in E.J. 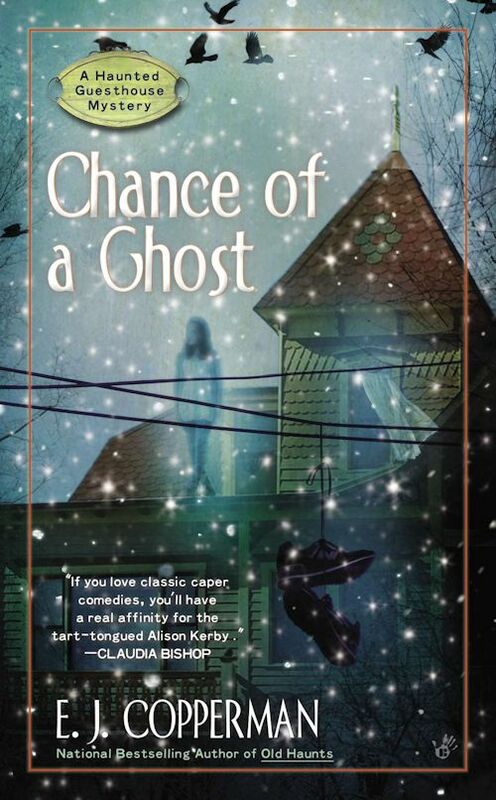 Copperman’s “funny, charming, and thoroughly enjoyable” (Spinetingler Magazine) series, the storm of the century bears down on the haunted guesthouse, and stirs up a gale of memories for a troubled ghost. 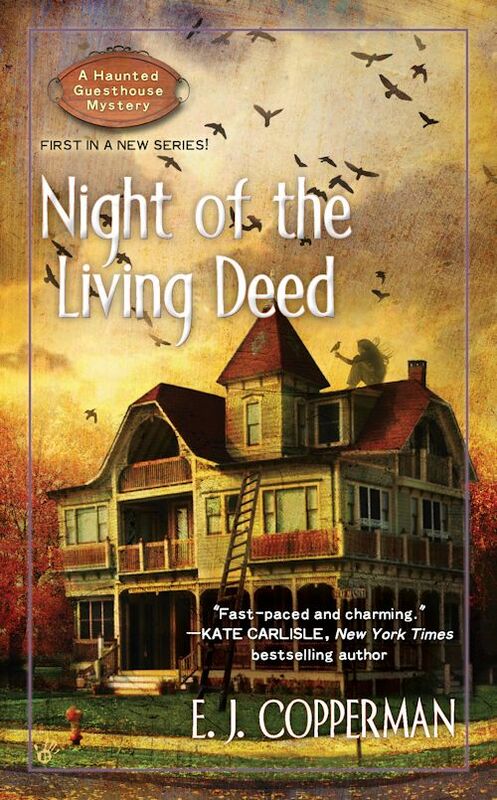 Haunted guesthouse owner Alison Kerby may have only recently discovered her ability to communicate with ghosts, but for her mother Loretta, it’s been a lifelong gift. 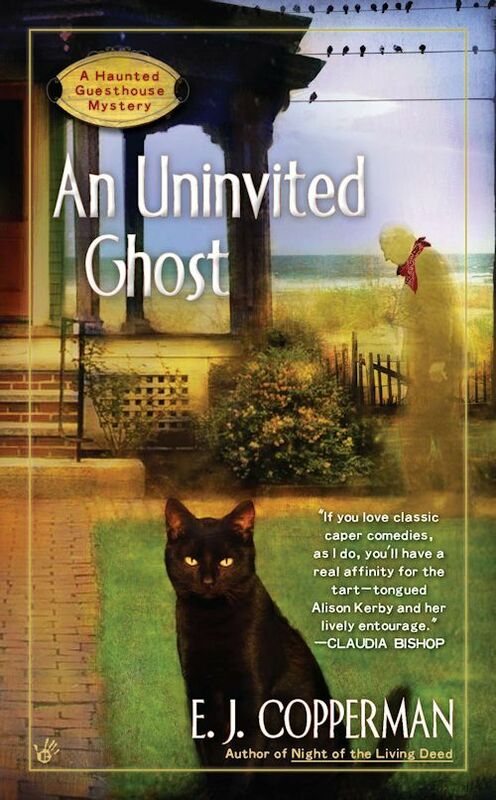 As Alison prepares her Jersey Shore guesthouse for what promises to be a huge storm, Loretta helps out by tackling a different issue when the winds blow in an unexpected visitor: the ghost of Sgt. Robert Elliot. His request? Help him find the POW bracelet from the Vietnam War that bears his name. But no sooner does Elliot make his appeal than he suddenly disappears, cutting off contact, and leaving Loretta to wonder…why here? Why now? And why the vanishing act? 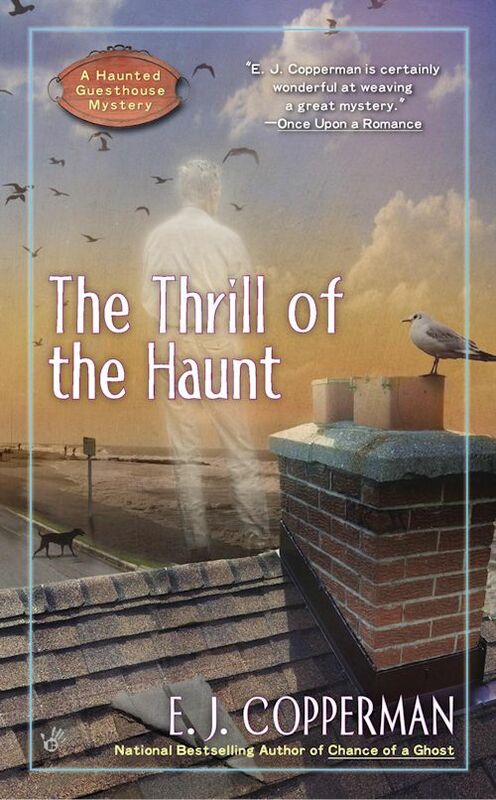 What: One entrant will win a Mass Market Paperback copy of The Thrill of the Haunt (A Haunted Guesthouse Mystery 5). Who and When: The contest is open to all humans on the planet earth with a mailing address. 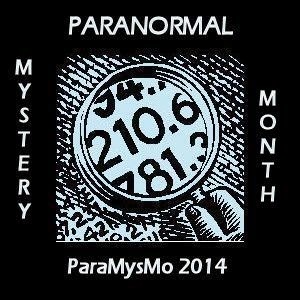 Contest ends at 11:59 PM US Eastern Time on November 1 2014. Void where prohibited by law. No purchase necessary. You must be 18 years old or older to enter. I celebrate Halloween by giving candy to the children, in our neighborhood...like to see the costumes, especially the little ones...so cute. Now that I live way out in the country where no children come to trick or treat, I've stopped celebrating. I sort of celebrate Halloween by eating candy, watching scary movies in October, and reading Halloween-themed cozy mysteries. Not in this country, but it always looks like fun. I buy the candy for the trick or treaters but I do eat a lot of it myself! yes I do I love Halloween! Best Holiday ever!! !